It's Monday. My bronchitis is gone and I feel reborn. Hallelujah! My husband and I had a really busy and exciting weekend. We were go, go, go from dawn to dusk, and even a little after dusk, too. Just in case you missed it, I shared our experience from registering for the baby showers on Saturday and a little bit of information about our new crib in the post from yesterday. On Sunday, we tried out a new church. Grace Church shares their sermons online, so I am familiar with their message and have watched recordings of past services before. This was our first time attending church at Grace and we really enjoyed it! We joined my mom, step dad, sister and little brother at service on Sunday. While we attended the service, my little brother participated in the Grace Kids program. My husband and I got to look around a bit while we picked him up from the kids program after service, and we were really impressed with their program for the kids. This is going to be important to us for obvious reasons. We want to find a church to call our home church before our daughter is born in January, and we want there to be a good program for children, too. Grace Church has definitely exceeded my expectations in that department, which is a department that is becoming increasingly important to us. We can't wait to attend again next week! After church, my husband and I had lunch together at Subway. We went grocery shopping after that. I made sure to get a lot of fruit to last the week. 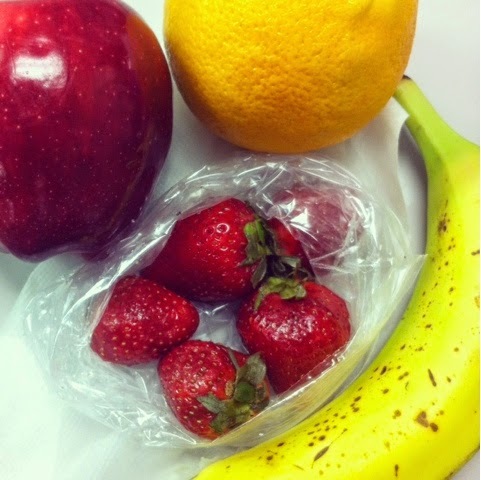 My goal for this week is to reach for the fruit before the chips when it comes to snacking. I am trying to eat healthier snacks throughout the day. Mostly my snacks for this week include hard boiled eggs, strawberries, oranges, apples, bananas, and cheese sticks. Can you tell I'm eating for two? After we got our groceries put away, we went to visit my friend. We spent a couple hours catching up, and had a good time together! 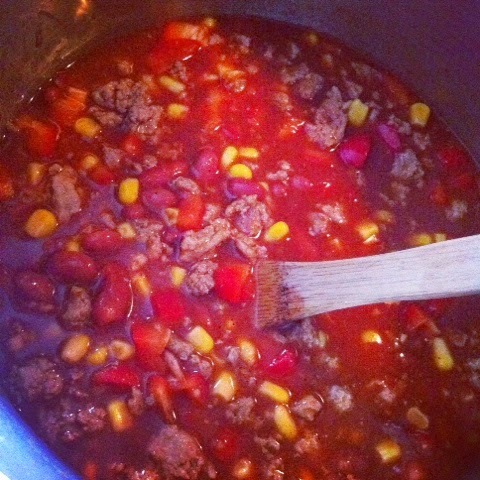 My husband dropped me off at home after that, so I could make chili while he ran an errand of his own. It was a cold weekend, so chili definitely hit the spot. After dinner, my in-laws stopped by to see the crib all set up in the nursery. I really can't wait to share pictures of the nursery with you all, once it's finished. The nursery is really coming together and I am just so in love with the room! We had to cut our visit with my in-laws short because we got a call from my friend that her furnace wasn't working. It just so happens my husband is also Mr. Fix It so we stopped back over there and he had it running again within an hour. We got home a little before 9 p.m. and then it was off to bed for this tired momma. Who else made chili this weekend?